This has been a big topic this past week at SES San Jose. There was even a panel talking about twitter and the panelist spoke about how you need to brand your name, not another name like yours. According to them the only exceptions are the older SEOs like Graywolf. When I started out on twitter I used a name I had come up with for MySpace, longhornkate. 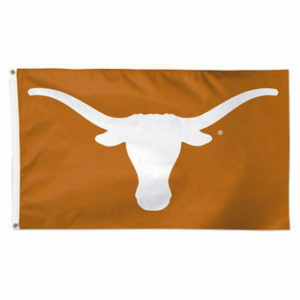 It showed my love of the Texas Longhorn football team and my first name. I am a single female so thought this might be best considering I might change my surname someday. Then this past week a number of people I respect noted that I should be going by my real name on twitter to build that brand, instead of longhornkate. After about the 8th person, I decided to try it out and see what people thought.The reaction has been mixed. So what do you think? LonghornKate or KateMorris? I own both domains, so that’s not an issue. Please vote and then post a comment explaining why you feel that way. I am so curious. What should my brand be? It’s almost … well it is official. AustinSEM.org has launched, but just with a temporary site. We’ll be looking for a better place to host and a great designer to help us with the site. For now, it totally works. Please stop by if you’re an Austin SEM and sign up. We have some great things coming up and want to get together with as many Austin SEO, SEMs, etc as possible. You do have to be working in the industry though. We will soon start training for those that WANT to do it. I’m excited to get our community together and hope the other SEMs in Austin agree. The web is getting inundated with request for votes on their proposed panels for SXSW Interactive. In true fashion, I have one as well. If you have a few seconds I’d like to tell you where to vote for ours and most importantly, why. It’s an all girl panel including myself, Laura Alter and Nadia King. Three hot women talking about video marketing and SEO. Taking a page from the top industry on the internet to feed your business model can’t be a bad idea. Video marketing is one of the newest topics that few understand and utilize in business. Okay, a post I was writing for here I gave to Bruce Clay as a guest post. I think it was a good topic, and Bruce Clay gets many more readers than I, so I sent it that direction. Next up, someone on twitter asked me to keep everyone up to date on my schooling and it’s progress. So I will attempt to be better about updating everyone on what I’m learning and how it applies to SEM. I just got done with a class called “Organizational Behavior” which explored everything from personality types, to teams, to Maslow. Speaking of Maslow, Dana Larson just wrote a post on Maslow and applying the Hierarchy of Needs to Social Marketing. Pretty good. It’s not the theory organizational behaviorists use much anymore but the parallels she draws are awesome. I did get an A in that class after some hard work, lots of studying (much to Todd Friesen’s annoyance), and a few times praying. I’m a third the way done (4/12) and holding onto my 4.0. So far so good. There has been a lot of buzz about the new search engine Cuil, including my own review, and many others. But now we have reached terminal velocity, people are tired of hearing about it. There was so much buzz before and so many scathing reviews after that the saturation point has been reached. So why do we keep talking about it? It’s a clear example of what not to do. If I do get to teaching at the university level someday, I am sure Cuil will be an example I use over and over again. They did everything right before the release, but missed the boat on their release. Like Vista, it’s pretty, but the functionality just isn’t there. Things should have been tested over and over, then checked again by beta testers. Once that was done, and they had the sign off from a few top minds, then they should have released. So hopefully this will be the last time I speak of the abomination until I end up teaching, or writing a thesis. As writers and educators (which all SEOs are), we love to have a “what not to do” and that’s what Cuil gave us. Cuil – said “cool.” Nope. I want to say “coolie.” Sphinn worked for me, but not this one. Though there are still people that mispronounce Sphinn, so whatever. It’s the engine just released from former Googlers. Last night it was all over Twitter, so I thought I’d check it out this morning, especially after the Austin American Statesman talked about it too. First searches: I don’t like the picture thing and the layout. Maybe it’s like Facebook (I personally like the new layout), sometimes it’s just something to get used to. I think this is too simple for the core searchers to use. Maybe it’s more for the “normal” person … but I don’t think you are going to get far by ignoring the SEM world. We are the ones that make recommendations. While we are finiky, Google knows how this works. Cuil founders, you worked there, you should know that. Give us ways to check things and test things. You give us nothing right now. On the upside for them, there is a possibility that this will change everything. The title tags I have now look really stupid on this layout and the mass of text below is weird. I now want to know more about where they are pulling info from and how to edit it. If this takes off, SEO will change yet again. It makes results change and we will have to grow to fit it. For right now, am I worried? Nope. So far from what I’ve seen on twitter, no one else is impressed either. Final thought: If you want to go after the top search engine, don’t announce it that way. Google didn’t get to the top by releasing as the “next Yahoo.” Be your own damn engine. Do something remarkable and leave it up to the world to decide. Reasoning: I know the space VERY well, and wanted to see how things showed up. Outcome: The “rankings” are about right … but the pictures throw me off. Some have pictures some don’t. But good so far (read my company shows first). Reasoning: My name. 🙂 Again, I know these results. Outcome: How is my website, katemorris.com, while not updated, third. And then there is a picture of grapes? WTF? That appears no where on my site. It’s old, but not that ripe! Then there is my SEOmoz profile and old picture. I changed that like a month ago. Old results guys. Outcome: Pathetic. The largest agency in Austin is listed 5th, with another companies logo. FAIL. Reasoning: Lots to cover here … just interested. Outcome: Still no company logo. Some of the pictures are right (about 60% of the time they are), but the most fascinating thing is the “Explore by Category” Box. Rand … you got “Black_hat_seo” as a category. Teehee. Outcome: Nope. This is bad. And the Category only gives national chains. Austin doesn’t work this way people. Maybe small towns, but Austin Pizza, Flying Tomato, and Mangia would be pissed here. Maybe someone has a solution to this, but for now I am calling this a “would love” feature in AdWords. Situation: My company wants to test placing the phone number in the ad text and how that converts better than other ads. There is some debate about this and I want to try it. 🙂 So we assign a phone number to the campaign and a landing page with that phone number. Full tracking since people might click and then convert online and we want to know that. Also know that we track all keywords with keyword specific URLs in AdWords. AdWords give precedence to keyword specific URLs (and I LOVE that) meaning they override the ad copy URL. Problem: With these new ads, the new landing page is only specified in the ad URL, which is being overridden by the keyword URL. I can’t start a new campaign with new keyword URLs because it’s duplication. The ads won’t be rotated correctly. What I need: A way to attach trackers in the keyword to append to the ad URL. That was hard to say. Let me explain. Basically what I’m looking for is a choice of changing the keyword desination URL if need be, but also have the option of appending a tracker on the end of the ad URL. Anyone agree? Got ideas for me? I’m posting on webmasterworld too, see what happens there. is viral marketing permission marketing? If linkbait is done the right way, it is just an extension of your regular marketing. It is an interesting article, list, or application that directly connects with your product. People know what they are using and reading is related to you and it makes them more interested in your product. If they like your marketing, your writing, and they then sign up for more information on their own, that is permission marketing. But what some linkbait and viral marketing has become isn’t permission marketing. What you wrote, designed, or released is funny, fun to read, etc. But is it related to your product? If it’s not, and you get people’s info from it, or push your unrelated product in any way, it really isn’t permission marketing. So I get his original point, but I’m not sure it applies in all terms of viral marketing. A few days ago Graywolf and I had a small debate on Twitter and I’m curious. If Danny or Kevin (think that’s his name) wanted to pick a new location for a national show, where would you want to go? Graywolf wants Orlando (yawn!) hehe. I want to see a show come to Austin (along with many other Texas people). Why? Austin is the live music capital of the world. We have more awesome music in a five block radius than Orlando has in the entire Magic Kingdom. Austin has Sixth street, one of the most well known strips of top notch bars and dives in the US. We have Lance Armstrong, Keep Austin Weird, ACL (Austin City Limits), Congress Bridge Bats, SXSW, The Driskill, some of the best local restaurants, and the best TexMex anywhere! !, the list could go on and on! Austin is the best place for SEOs to meet up because we have the best mix of technology, laid back-ness, food, and alcohol on the planet!! This all stems from Laura Alter’s post about how we get no conferences in Austin that are geared toward SEMs (she and I just got back from one geared to SMBs). You pondered Texas Longhorns, yet there’s a whole other world to these nation cow-like than meets the eye. Each Texan recognizes what a Longhorn resembles, as does each nation staying rancher or young lady. Truth be told, most Americans could bring up the Longhorn in a line-up. It’s not hard when their name suggests their appearance. In any case, we revealed some fun realities about this cow-like breed that may shock you. Exactly how well do you know your Texas Longhorns? Peruse on to discover some new random data about these famous Southwest steers! longhorn-175478_640 1. Their populace plunged close to elimination during the 1920s. It took direction from the United States government to expand their numbers. 2. Both male Longhorn bulls and female cows have horns. 3. They are not identified with the English Longhorn. What’s more, they don’t look anything like them, either. In some cases they are confused with Watusi dairy cattle however. 2860574640_a0bbeacc024. The cows went from Spain toward the West Indies and afterward Mexico before touching base in Texas and whatever is left of the USA. 5. The Longhorn didn’t turn into the Texas state huge well evolved creature until 1995. 6. They come in all hues and examples, including spotted. longhorn-cows 754741_6407. The strong breed was utilized to travel long separations on the grounds that, in contrast to other steers, the creature could rummage on brush and get by for quite a long time without water. 8. Known for their strength, Texas Longhorn calves stand faster than different breeds. 9. Their horns are said to be model of advancement’s characteristic determination. longhorn-529572_64010. Texas Longhorn cows deals post-Civil War brought the territory of Texas out of a financial wretchedness. 11. The most stretched out horn estimation ranges more than 10 feet. 12. The breed is likewise alluded to as the American Longhorn. Did you get the hang of anything new? Longhorns are unquestionably a remarkable type of bovine. While they are frequently very forceful, they can in any case make adoring ranch allies just as hamburger steers, as they are known for their lean meat. Visit the Texas Longhorn Breeders Association of America for more data on this wonderful dairy cattle breed. Reveal to us what you think about the Texas Longhorn in the remarks underneath! Normal CPAP sanitizers require users to take apart everything, wash every part, and wait for everything to dry. Would you rather go through the trouble of doing all of this when you could TrySoClean.com products from Easy Breathe? These products make it easier for you to sanitize your CPAP equipment on a regular basis.